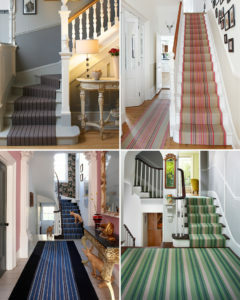 Here we continue our top tips for making your entrance hall an area of the home that can delight and inspire. The front hall is where we get to shut the door on the hustle and bustle of the outside world. It’s where we greet our guests, it’s the entrance to our own kingdom and the first impression people get of what ‘home’ means to us. What better feeling is there after a long day, than returning home? You can magnify this feeling by making sure that the first thing that greets you is the cheering sight of a collection of beloved objects. 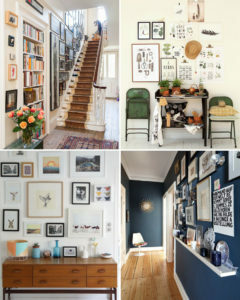 Whether these are gifts from loved one or trinkets from your travels; by placing these in a prominent position in your hall, you’ll bring joy, create interest and invite discussion. 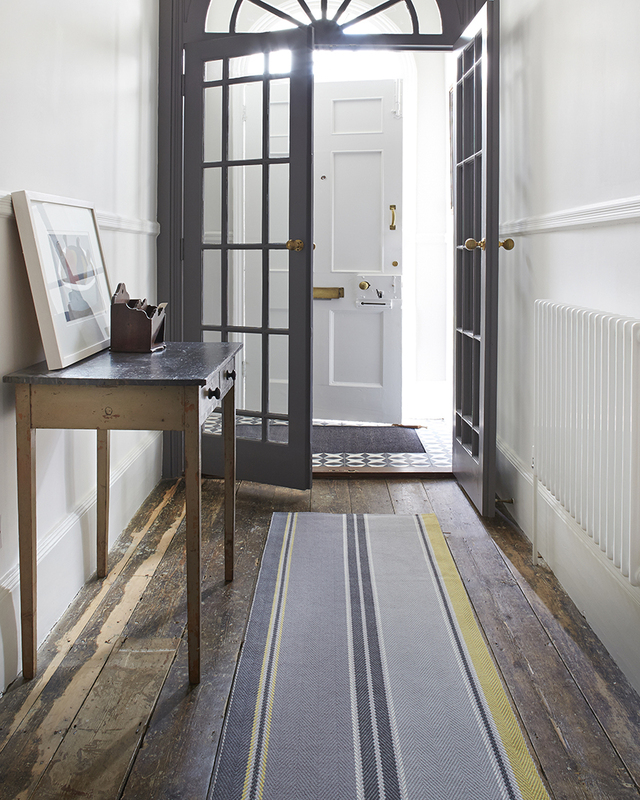 Add some drama with a darker colour palette, Henley Prune paired with deep purple woodwork. There’s a fear these days that a darkly painted hallway means a gloomy hallway. That’s not true. There is no need to shun darker colours, it’s all about balance. A dark statement colour can add drama when paired with lighter walls or you may choose neutrals for the floors and experiment with a deep accent shade on the walls. 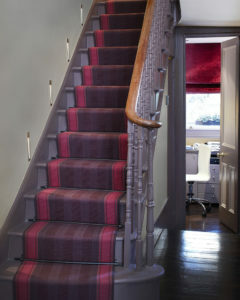 The colours of our flatweave runners are as versatile as your paint choice – you can use calming neutrals, chic monochrome or a add a bright pop of colour as daring as you desire – there really is something for everyone, and a bespoke service to create a truly unique one off. 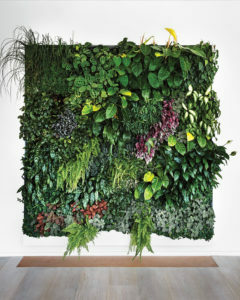 For something truly arresting how about adding a living wall, unusual perhaps but a spectacular first impression. Not feeling quite so brave? 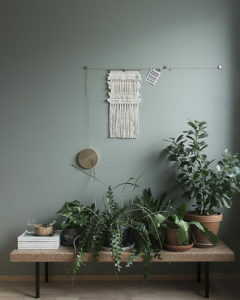 An assortment of houseplants in carefully curated pots can add an organic feel and care for your air quality! And remember, that all decorating is temporary and walls are easily repainted. So there’s really no excuse, make your home a true reflection of you, from the very first step you take into it.